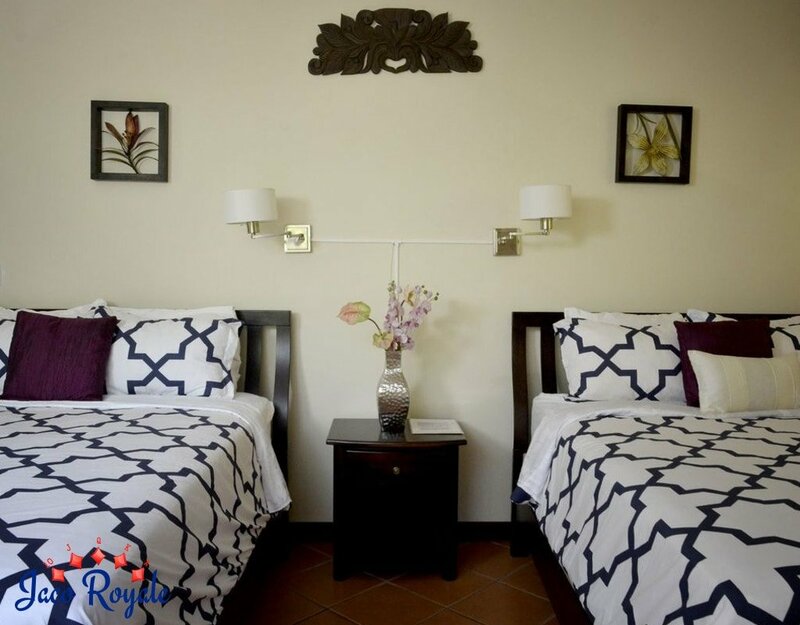 Enriched by heavenly views of the Pacific Ocean, rainforest, mountains, and valleys, and fitted with state-of-the-art facilities, Royale Navy truly lives up to its name from within and on the outside. 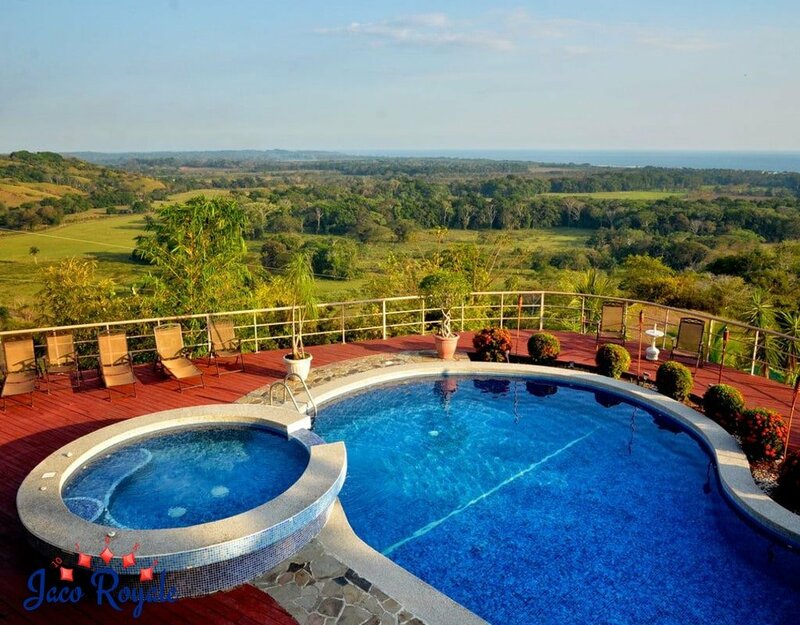 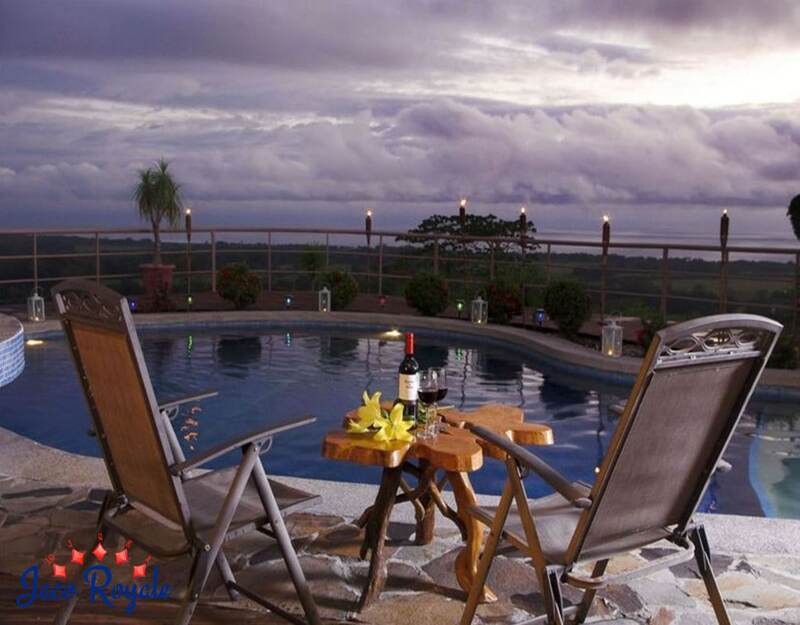 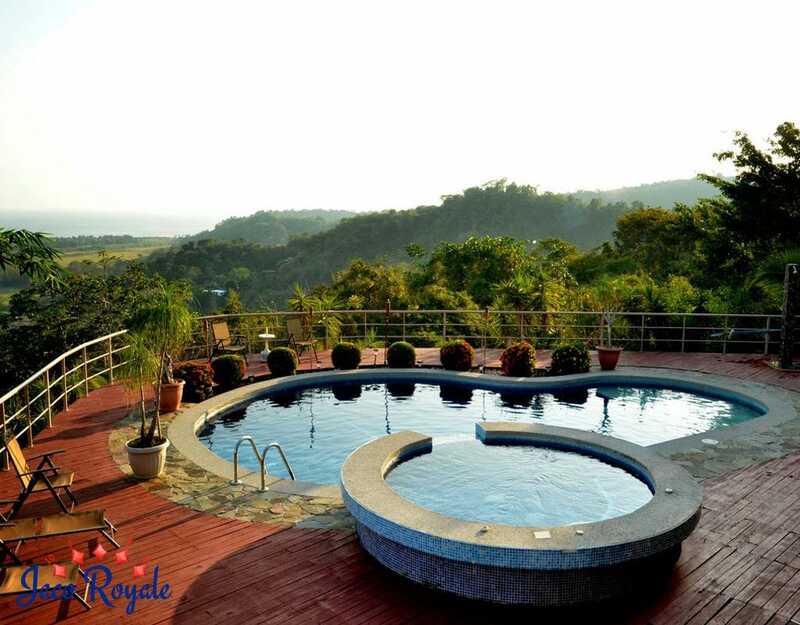 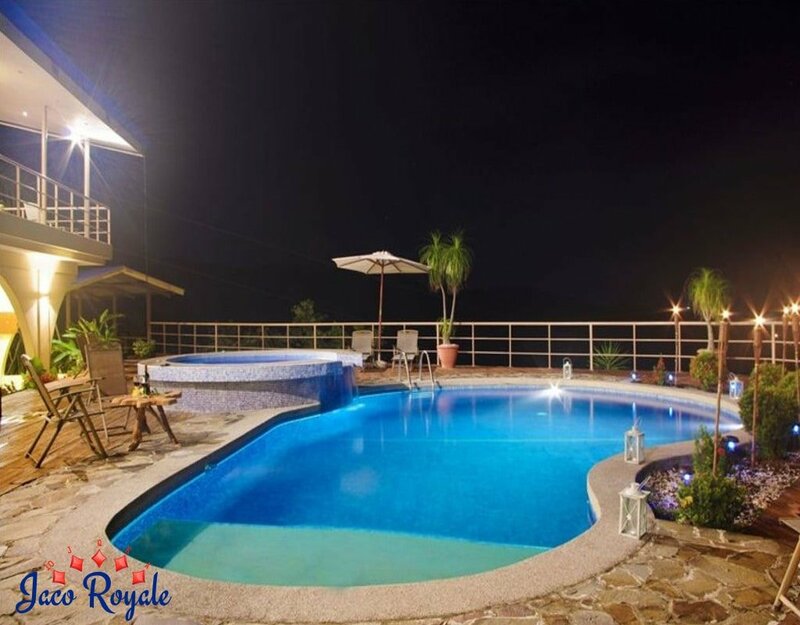 The Mediterranean-style villa is set amidst a sprawling 7 acres, away from the hustle and bustle of Jaco town, which is only 15 minutes’ drive away. 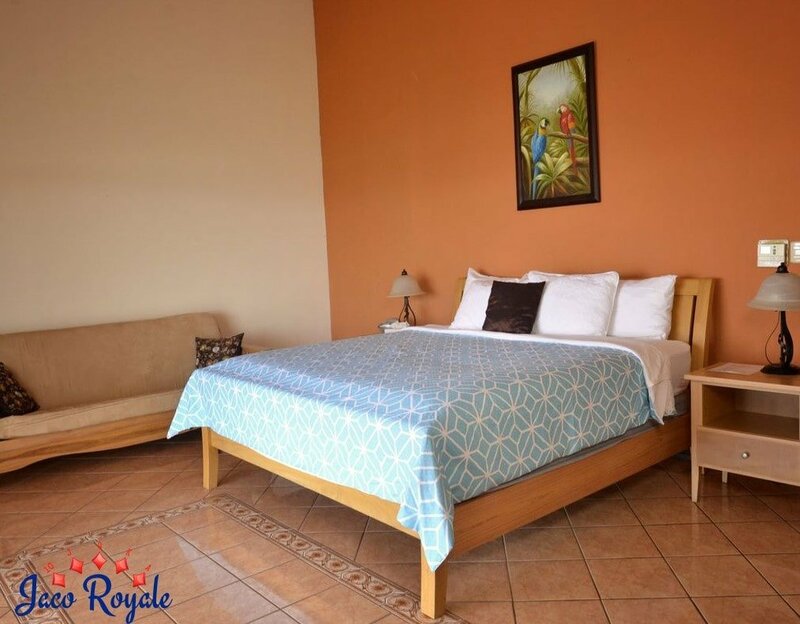 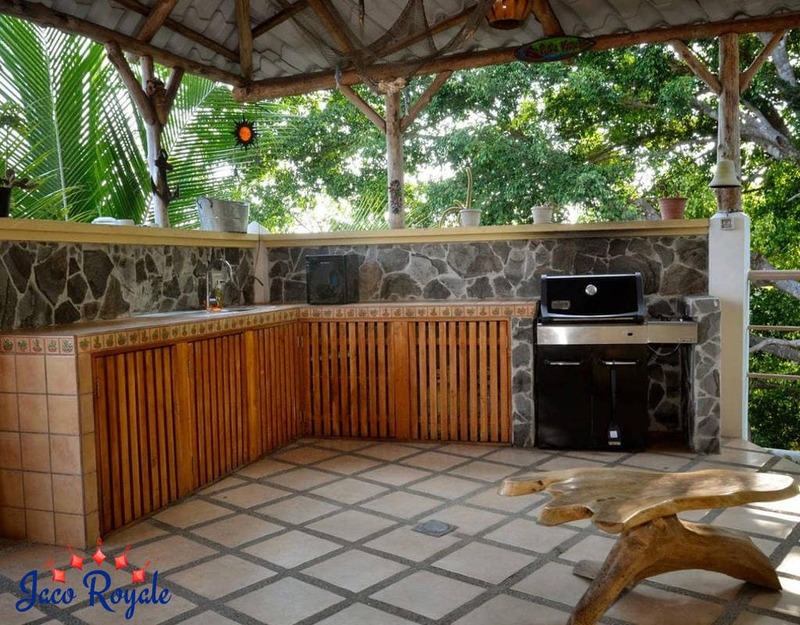 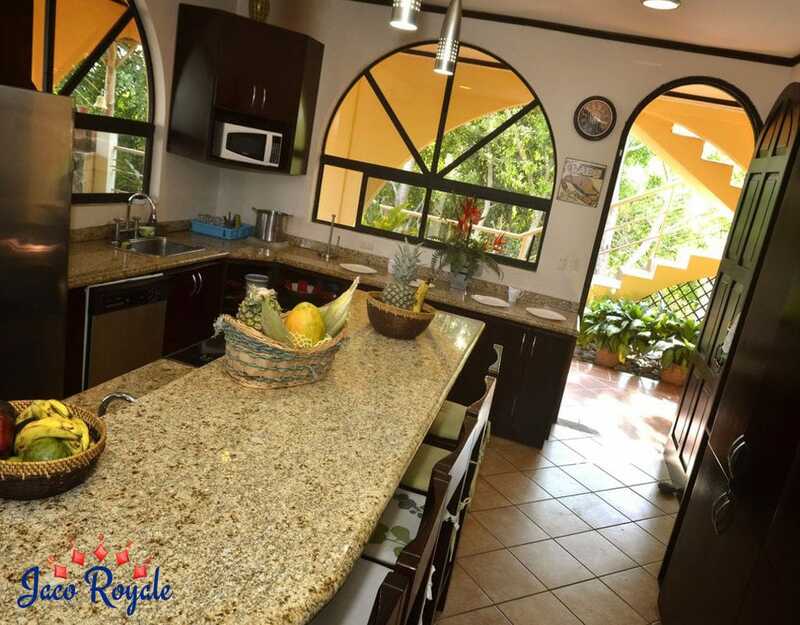 Being closer to nature, toucans, iguanas, hummingbirds, and monkeys come calling and you will feel lucky to see them up close from your balcony or while relaxing in the patio or pool decks. 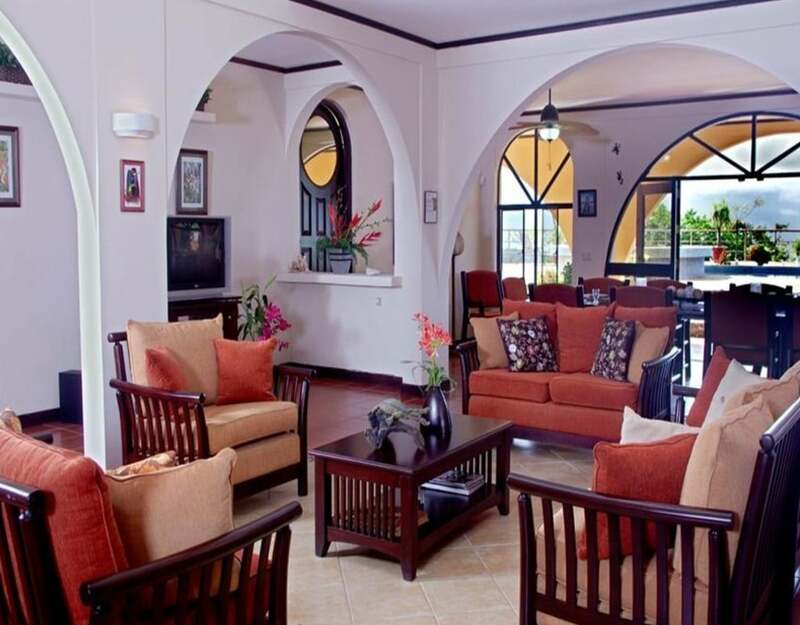 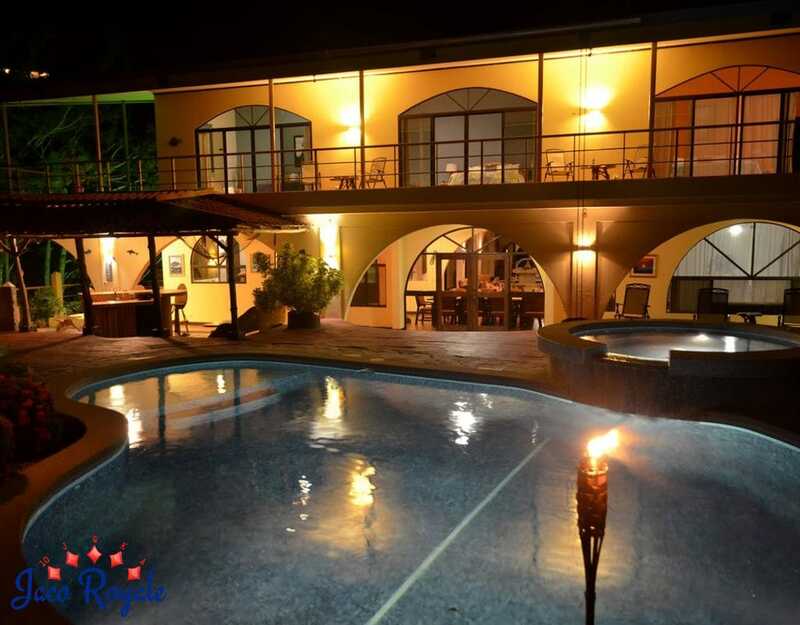 Spaciously set, the 6-bedroom villa can accommodate as many as 21 people. 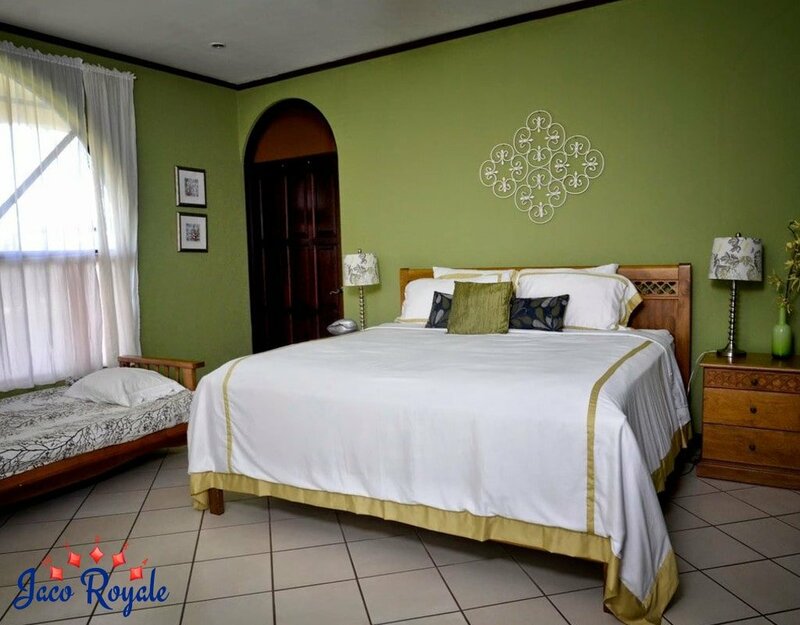 Every room is air conditioned, every bedroom is fitted with a private bathroom, and the balconies give you splendid views of the distant ocean or the seamless valleys. 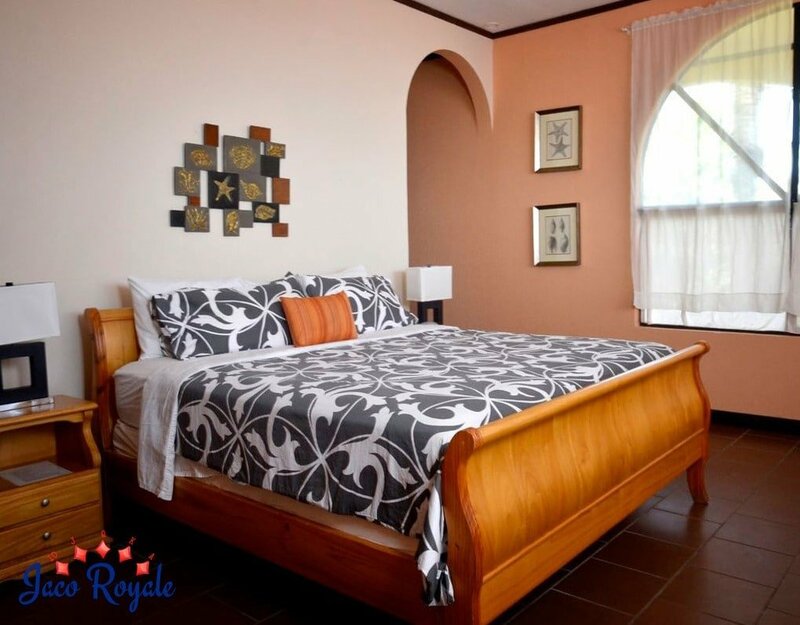 The beds available include 5 king-size, 2 queen-size, 4 inflatable queen-size, and 5 sleep sofas/futons. 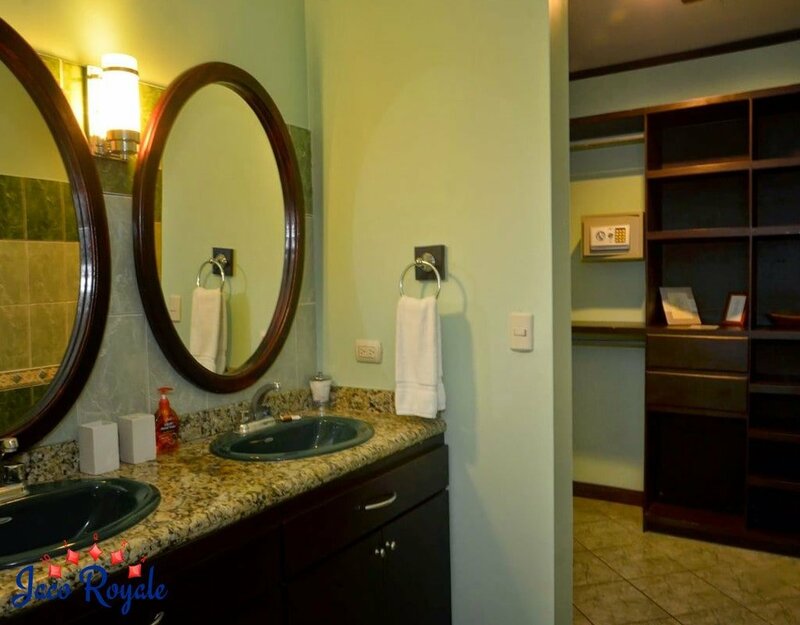 Pamper yourself in the indoor jacuzzi, private pool, and whirlpool.